“Of Idiots.” Lin Yu muttered, as she walked out of the little courtyard ignoring his outraged glare. “What’s it matter to you?” She asked and strolled down the quiet street. For a moment the haughty mask slipped off his handsome face, and there was fear and anxiety in his eyes. Lin Yu looked at him and took out a hand to touch his shoulder. He jerked back, there was something akin to accusation in his eyes, something that he blamed her for. Lin Yu felt like he slapped her. They stood silently, awkwardly not knowing what to do, where to go. Lin Yu turned around, intent on never speaking to him again. “Wait.” Huang Wu said, “You must feel pretty cooped up here. Come with me.” He grabbed her wrist. Lin Yu’s eyes flashed jade green, “Let go, crow boy. I’m not someone you can manhandle.” Huang Wu opened his mouth to taunt her, but remember the bite scars on his pure white hand, he quickly let go. Lin Yu rolled her eyes, “If we’re not leaving. I’ll go on my walk.” She made the motion to jump off his back. But at the same time, the black crow swooped into the air. Lin Yu felt the ice coolness hit her in full force, the higher they climbed, the less homesick she felt. She dug her hands into the warm down on Huang Wu’s neck, holding on tighter as he flew higher. He seemed to share her exhilaration and shot up like an arrow, spiraling higher and higher. In the air, Huang Wu felt alive again. The warm arms around his neck made him feel reckless and protective at the same time. He grinned and climbed so high that even the clouds were far below them. Huang Wu smiled, it was the first moment of happiness he’s had in months. He sat as Lin Yu danced. The whispering of reeds and the gentle chiming of the brook accompanied each of Lin Yu’s graceful movies. Huang Wu was mesmerized, the girl in light jade clothes was heartrendingly beautiful. But it wasn’t her beauty that crashed over him like the unrelenting waves of the eastern sea. It was the wild grace of her dancing, there were no words to describe the sweet sadness in her movements. It was carefree at one moment elegantly muted at the next. Her movements pulled at his soul, her airy grace trapped his heart. Huang Wu felt the fears and sorrows that weighed on him lift with each of her movement, and for a brief moment, he didn’t care what happened in the demon world. All he felt was the unbridled joy of her dance. When it ended, he closed his eyes, intent on imprinting it forever in his memory. He didn’t want to share the sight of Lin Yu dancing with anyone. Huang Wu knew he was probably going to pay for it in some extremely painful way but he continued coldy, “You should never dance that dance for anyone, except for me.” Lin Yu’s eyes were icy daggers, and she asked, “Why?” It was more of a hiss than a question. If anyone looked up at the clear summer night, they would’ve only seen thousands of stars. But for some reason, there was a trail of black feathers that floated all the way down to the city gates. “That stupid crow.” Lin Yu seethed as she cooked rice porridge. It was the only thing Yu Zhu allowed her to make, as Lin Yu had nearly burned down half the kitchen the last time she tried some thing more complicated. “Okay.” Zhuo Hao stepped in and looked around, “Yu Zhu’s not cooking today?” He asked he watch Lin Yu haphazardly crack a few eggs into the wok, the shells were mixed right in. He was just glad to spend a few moments alone with Lin Yu. The acrid smell of burnt food reached Yu Zhu even before she entered the battleground she once knew as a kitchen. “Dear gods, who did I anger in heaven?” Lin Yu breathed as she walked into the tiny kitchen . Half of it was covered in flour and the other half seemed to be covered in a yellow gooey substance. In the middle of it stood two people holding a plate of something entirely inedible. Zhuo Hao grinned shamelessly, “And I’m not above using that to my advantage.” His happiness was infectious, Lin Yu caught herself smiling as her anger at Huang Wu was forgotten. 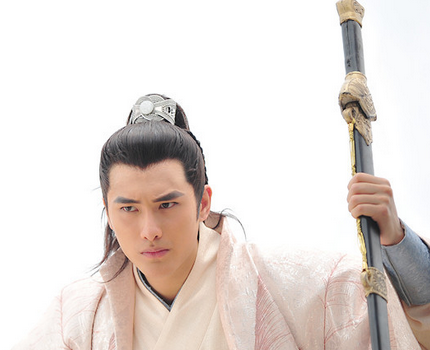 Zhuo Hao nodded apologetically as Lin Yu pulled him out. Yu Zhu sighed, “They’re like children when they’re together.” She began picking up the broken plates with a smile. There was an indescribable feeling in Zhuo Hao’s heart as he looked at the slender hand on his arm. He felt as if the years of wandering were over. The moment Lin Yu came into his life, he knew that he would never be alone again. Hong Yan Su knelt in the grand hall of the Dian Emperors. Behind him, rows of officials bowed to their emperor, resplendent in gold and black. Xu Long Hui was not perturbed, “Never the less, she survived. Since then, my father has elevated her status back to that of a first ranked princess.” Xu Long Hui leaned foward, though there was no trace of anger in his voice as he said, ” Are you questioning the late emperor’s will?” The entire assembly tensed, to question the late emperor could result them losing their heads. Xu Long Hui might be dying, was still their powerful emperor. Hong Yan Su’s jaw convulsed and for a moment there was nothing but deadly silence between the two men. Hong Yan Su bowed and uttered, “No, your majesty.” The emperor nodded and dismissed the entire court with a wave of the hand. Hong Yan Su walked out of the great hall, there was murderous rage in his heart. Xu Long Hui made the wrong move today. By trying to limit his power, the war between them has officially begun. One way or another, he thought as he walked away, Hua Er would die before she marries the Prince of Yue. Well, well. Looks like the high and mighty Royal Crow Prince has fallen for a lowly snake. I really like how you expressed the following line: “He jerked back, there was something akin to accusation in his eyes, something that he blamed her for.” For stealing his heart I’m guessing. He unwillingly gave it away. I love how oblivious Lin Yu is to how much she affects him. There is something endearing about the fact that she had no intention of making him fall in love with her, yet she has clearly bewitched him already. 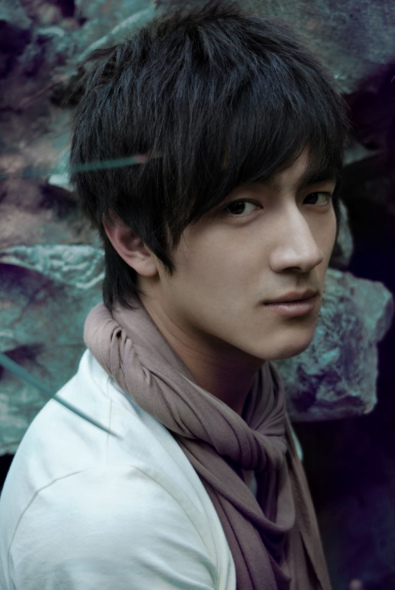 And then there is Zhu Hao. So kind and generous. I hope we get to learn more about his personal background. It seems like he is running from something. I’ve clearly become very invested in Lin Yu in case you couldn’t tell. Everyone has a favorite. Lin Yu and Wei Yun are undoubtedly my favorites at the moment. Just two word. Loved it! I would love too! but I’ve been really distracted with work and personal issues lately. I’m def updating soon, this week I promise!